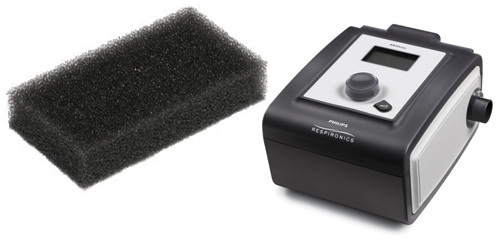 Reusable foam filter for Respironics PR System One Machines. 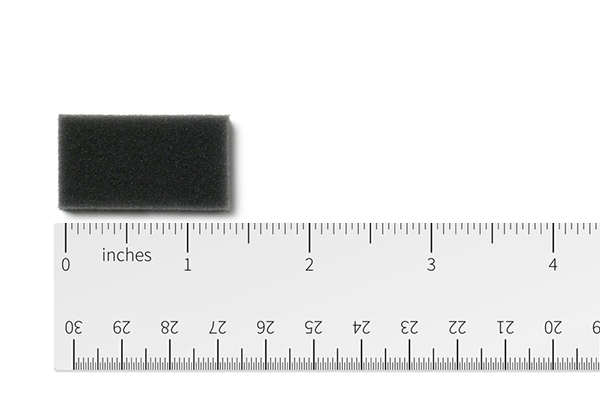 This filter is 1 5/8" wide and 7/8" tall. This reusable, gark grey filter for Respironics PR System One Machines is designed to keep dust and debris particles from clogging up your machine. The filter will last up to 3 months with regular cleaning and maintenance. It is recommended that you replace your filter every 3 months or as needed. Wash your filter frequently with mild detergeant and water. Dry with paper towel. Regular cleaning helps extend the life of your filter.